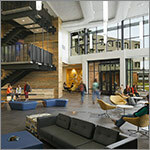 The design of Yellowstone Hall emphasizes place-making and community for both the residents and the entire campus neighborhood. 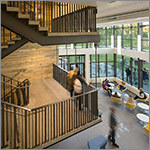 Located within close proximity to MSU’s Roskie Beach, the “Front Door/Back Yard” concept at Yellowstone embraces and enhances the adjacent recreation space and encourages pedestrian traffic with its large, welcoming pass-through. The four-story structure is specifically designed to maximize solar orientation and views to the mountains, while offering amenities such as a two-story atrium/main lounge, secure bike storage, and even space for ski waxing. Other features include resident meeting spaces, spaces to accommodate collaborative academic work, and a kitchen area for group functions. 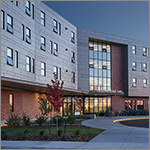 NAC partnered with SMA Architects on the design of Yellowstone Hall, MSU’s newest student residence community. 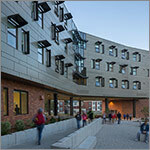 The 120,000 square-foot facility provides incoming freshman with 400 beds in a modern, mixed gender layout with single, double and suite-style rooms. 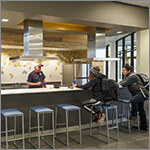 "It has been a great collaborative adventure working closely with NAC Architecture on the Montana State University Residence Hall project. 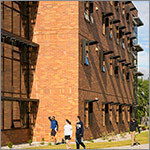 One thing we especially appreciate is their commitment to building student communities. 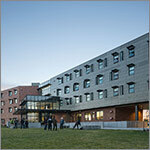 They are about what is best for the student rather than just an architectural icon. 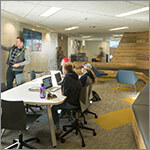 At the same time, this project is going to be a great architectural addition to the campus."